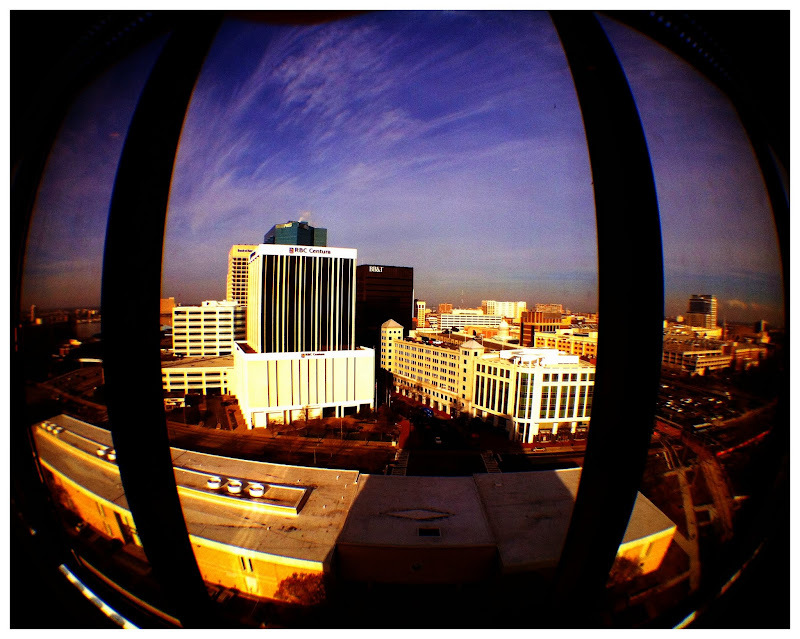 - A fisheye view from the top floor of Norfolk City Hall. Main Street in the center, the Elizabeth River waterfront to the left and the Wells Fargo Center and Scope to the right. In the foreground you can see the Circuit Court Building and the long shadow of City Hall looming over it. iPhone 4, 1/769 sec @ f/2.8, ISO 80, Olloclip fisheye lens.